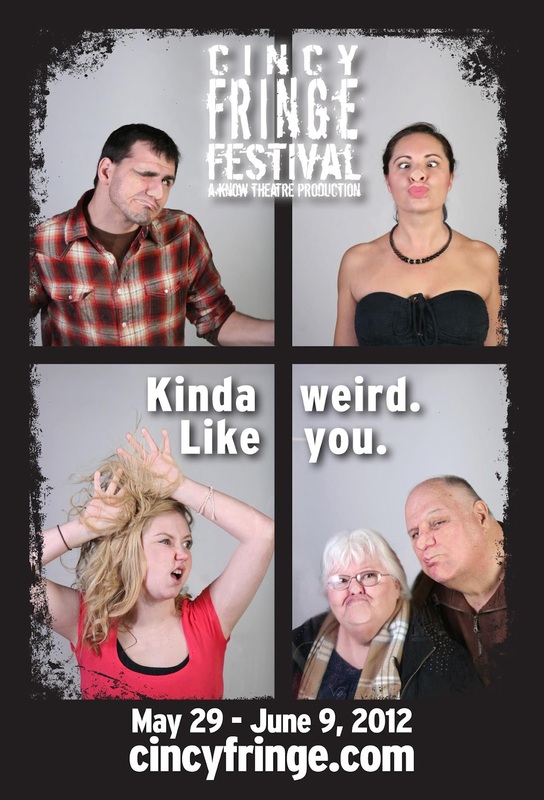 Cincinnati Blog: CincyFringe Kickoff Party Tonight!!!!!!!! Head out TONIGHT to the 2012 CityBeat Fringe Kick-Off Party! Doors open at 7PM at the Know Theatre (Fringe HQ) located at 1120 Jackson Street in OTR. Fun will include a show by The Dukes Are Dead as well as the premier of Channel Fringe Hard Hitting Action News Update. My Goal for this year's CincyFringe is to gain a mention on Channel Fringe Hard Hitting Action News. As I will be missing several days of the festival, I would think this fact by itself would be news worthy. I am going to need a press agent to get this mention. The crack staff of the Fringe News Division is a hard team to understand. Here's hoping a few bribes or constant annoyance wears them down. If you can't make it to the opening party, don't make me drive to your house to give you a postcard that highlights the 11 days of theatre that can't be missed! Go to www.cincyfringe.com to find the full schedule and to buy tickets. Buying tickets online ahead of time, is the best way to reserve your tickets to the hottest shows. Stay tuned to this blog to find out the hottest shows. As of now, you can assume they are all hot and a buy a ticket to all of them, just be sure. Maija Zummo Wanted a BLUE Pony, Cincinnati!